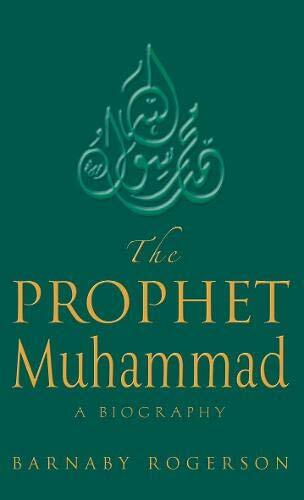 The Prophet Muhammad is a hero for all mankind. In his lifetime he established a new religion, Islam; a new state, the first united Arabia; and a new literary language, the classical Arabic of the Qu'ran, for the Qu'ran is believed to be the word of God revealed to Muhammad by the angel Gabriel. A generation after his death he would be acknowledged as the founder of a world empire and a new civilisation. Any one of these achievements would have been more than enough to permanently establish his genius. To our early twenty-first century minds, what is all the more astonishing is that he also managed to stay true to himself and retained to his last days the humility, courtesy and humanity that he had learned as an orphan shepherd boy in central Arabia. If one looks for a parallel example from Christendom, you would have to combine the Emperor Constantine with St Francis and St Paul, an awesome prospect. Barnaby Rogerson's scintillating biography not only looks directly at the life of the Prophet Muhammad, but beautifully evokes for western readers the Arabian world into which he was born in 570 AD.